Claims in the long-term care industry have steadily continued to worsen for post-acute providers. According to a 2017 actuarial analysis conducted by AON, entitled “2017 Long-Term Care: General Liability and Professional Liability Actuarial Analysis,” the number of claims per 100 occupied beds rose from .71 in 2007 to .92 in 2012 to 1.03 in 2017. This same analysis found that the average amount to defend, settle, or litigate a claim rose from $165,000 in 2007 to $179,000 in 2012, to $223,000 in 2017. AON writes that it expects the number and size of claims to continue to increase in 2018. At the same time, the types of claims pursued by litigants in this field remain fairly limited. A 2016 study by CNA entitled, “Aging Services 2016 Claim Report – Using Evidence to Achieve Excellence: Engage, Lead, Succeed,” found that falls and pressure ulcer claims accounted for 42.7 percent and 18.6 percent of all claims, respectively, with improper care, failure to monitor, and resident abuse claims rounding out all but 13 percent of all claims. Similarly, Aon’s actuarial analysis found that falls and pressure ulcer claims accounted for 49 percent and 28 percent of all specified claims in 2017, respectively, with assault/abuse/neglect and adverse outcome from a treatment/procedure claims rounding out all but 12 percent of all specified claims. Against this backdrop of consistent claims with gradually increasing costs, it is imperative for providers and their defense counsel to be cognizant of strategies that can reign in defense costs and settlement values by steering litigation toward a quick and favorable resolution by using proactive strategies to mitigate claims. We will discuss such strategies in the context of the developing areas of arbitration agreements, payroll-based journal reporting, electronic health records, marketing collateral, the rise of acuity levels among assisted living facility residents, and CMS’ requirements to reduce the spread of Legionnaire’s disease in skilled nursing facilities. In general, it has been found that arbitration reduces costs in long-term care litigation. Aon’s previously mentioned 2017 study found that the total cost for claims in which an arbitration agreement had been executed was five percent lower than for claims with no arbitration agreement in place. Furthermore, claims in which an arbitration agreement was in place tend to resolve, on average, three months before a claim in which no arbitration agreement was in place. However, arbitration does not always result in the most cost-effective outcomes. According to Aon’s study, claims in which an arbitration agreement is challenged have far higher average costs than claims in which no arbitration agreement is in place. In fact, the average expense for a claim in which an arbitration agreement is found to be invalid is $614,000, which is close to $400,000 higher than the cost for the average claim. Nevertheless, arbitration agreements are beneficial since they reduce the risk of runaway verdicts and generally foster earlier resolutions. It is imperative that providers that are relying on these agreements take steps to ensure that such agreements comply with the laws in their respective states and that the individuals signing the agreements have the capacity to do so. This is an area that the plaintiff’s bar and legislatures will continue to challenge. In November 2017, CMS began posting on the Nursing Home Compare website the number of hours worked by nursing staff at every facility, as submitted through the Payroll-Based Journal (PBJ) system. As of July 2018, CMS has also posted for each facility the number of hours worked by both nurse aides and physical therapists. Based on this PBJ data, CMS gives each facility a staffing rating on a five-star scale. Litigants have begun to incorporate PBJ data into understaffing arguments. As with all understaffing arguments, however, defense counsel should assess whether the data actually supports the allegation of understaffing. Understaffing has become a boilerplate argument that often has little-to-no factual basis and makes for a good sound bite for plaintiffs. Defense counsel should also be wary of the accuracy of the PBJ data, as the validation reports that providers receive when they upload the data means solely that the data has been submitted successfully, not that it is accurate or complete. Defense practitioners need to master the PBJ data and mine the information to combat some of the erroneous understaffing arguments being asserted. An increasing number of providers are using electronic health records (EHR). While this usually means more thorough and accurate documentation of residents’ medical conditions, it can pose its own challenges in the course of litigation. With more records comes the potential for more expansive and more invasive discovery, including discovery of information that may not be apparent at first blush. Counsel representing providers with EHR should make themselves very familiar with the EHR system used by the client and its capabilities before receiving the initial discovery requests for these records. This should not only expedite the discovery process, but also will aid in the investigation of a claim. Counsel should also make sure that data retention protocols are in place, as the deletion of EHR data and metadata could result in adverse inferences. A continued litigation trend is that plaintiffs are alleging violations of consumer fraud statutes and asserting claims of misrepresentation in lawsuits against long-term care providers. In July 2015, the Pennsylvania Attorney General filed a lawsuit against a national long-term care provider, Golden Gate National Senior Care LLC, alleging that it misrepresented the quality of its services in chain-wide marketing materials. The trial court dismissed the lawsuit, finding that the alleged misrepresentations were mere “puffery.” The Pennsylvania attorney general’s appeal of this decision to the state’s supreme court is currently pending. This lawsuit underscores the importance of being familiar with a provider’s marketing materials (both print and online) and the law governing a provider’s right to market its services. Plaintiffs can be expected to make false advertising claims when the representations in a provider’s marketing materials are inconsistent with the services actually being provided. Today’s average resident in an assisted living facility (ALF) bears a resemblance to the average resident in a skilled nursing facility (SNF) from several years ago. The higher acuity levels in the less-defined regulatory environment in which ALFs operate can result in high-stakes litigation. Plaintiffs often allege that an ALF could not provide the appropriate level of care to a resident, and that the ALF incorrectly marketed its services. To prevent such claims, it is critical for providers at the time of a resident’s admission to conduct a thorough assessment of the resident’s physical and mental condition and manage resident and family expectations. This initial assessment is necessary to determine whether a facility can realistically meet the needs of the resident. A residency agreement should also clearly and unambiguously explain the services offered—and not offered—by the assisted living facility. Families of residents are much more likely to file suit if they believe that the residency agreement was misleading. Additionally, when a resident’s medical or cognitive status changes, providers must have candid discussions with families about whether the resident should be transferred to a facility that can provide a higher level of care if the care can no longer be provided in the assisted living setting. In June 2017, CMS published a directive with the intent to reduce the spread of Legionella in health care facilities. On July 6, 2018, this guidance was updated. Legionella is a waterborne bacterium that causes Legionnaires’ disease, a very serious type of pneumonia that can be fatal. According to CMS, 19 percent of all Legionnaires’ disease outbreaks are associated with long-term care facilities. The directive states that CMS expects all Medicare certified health care facilities to have water management policies and procedures in place to reduce the growth and spread of Legionella. In light of CMS’ directive, providers must implement a water management policy that effectively inhibits the growth and spread of Legionella. 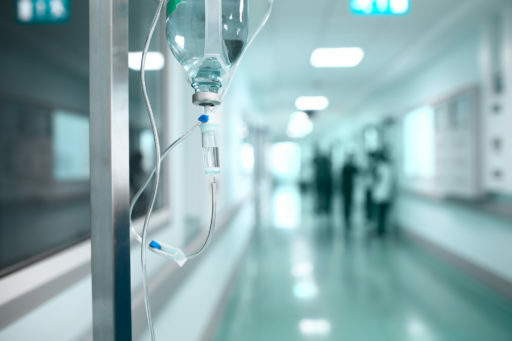 Doing so is necessary not only to comply with the CMS, but also from a litigation standpoint as more cases are being asserted in the long-term care setting against facilities that have an outbreak of Legionnaires’ disease. These cases can be complex medically and scientifically and require solid expert guidance to defend. Despite the advanced age and co-morbidities associated with long-term care residents and stringent government regulations in the industry, claims are increasing in both number and severity across the board. This trend has led to some national providers pulling out of the skilled nursing market altogether or selling off significant portions of their portfolios. In short, the market is trending toward smaller, more regional players, which will undoubtedly impact the litigation landscape and defense of these cases. These developments have also led to a change in the carrier space, as some established insurers have exited the market or reduced their market share, while other entrants continue to emerge. In short, it is likely that premiums are going to continue to rise and deductibles will become more commonplace as the market hardens. Furthermore, the plaintiff’s bar continues to develop new strategies to increase recoveries. In light of this trend, which is only expected to continue, it is imperative for providers, defense counsel, and insurance carriers to be aware of these emerging risks and strategies that can reduce litigation costs and deter litigation altogether. © Entire contents copyright 2018 by The CLM. All rights reserved.